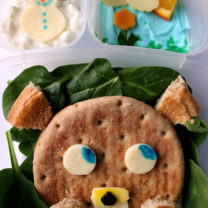 Do you want to get your kiddos to love spinach? 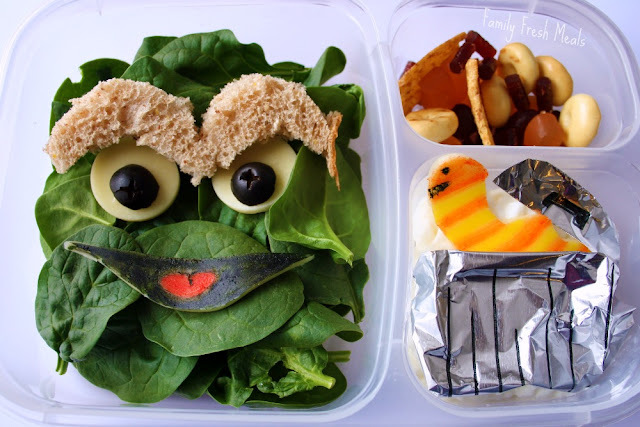 For this Easy Lunchbox bento there is a spinach “Oscar the Grouch” with cheese & olive eyes, cheese mouth colored with food markers & a bread eyebrow. 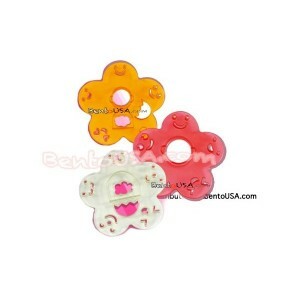 On the right is a cheese “Slimy” colored with food markers. In the trash can is cottage cheese. On the top is a “garbage” mix of Sun Chip Mix & fruit leather. Little D was so excited to eat her Sesame Street friend! Here is what I used to make this Oscar the Grouch Lunch! 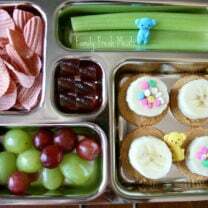 Bento Love: Chain of Love…. 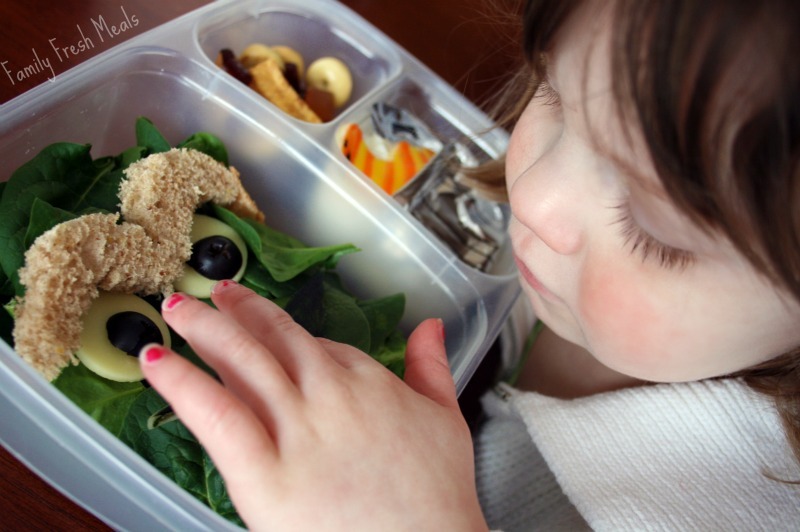 and Smart Planet Eco Lunch Box Review & GIVEAWAY!!! this is awesome! i will share with my sesame-loving mommy friends! bahahaha i LOOOOOVE THIS!!! little miss would die. hahaha so creative and AWESOME! That is great. 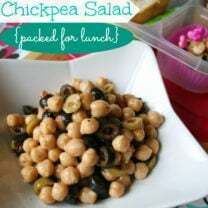 Did the face stay in place until lunch time or did it slide around? Thank you so much Kelly. It means so much to me when you share my creations! You rock! Oh! And yay for husbands with ideas this great! Oscar is pure genius! <3 So creative! Wow! Oscar is amazing and Slimy the worm is adorable! What did you color the mouth with? This is so awesome and creative, love! I could have used this at our Oscar/Garbage truck party: http://bit.ly/SWMom120711c We had a ton of fun, but THIS would have been a cute addition!